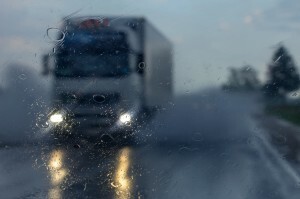 Drivers and passengers in Illinois often turn to a Chicago truck accident attorney after becoming injured in an accident caused by a negligent truck driver. While there are many different types of truck driver negligence, one prevalent form is prescription drug use. In a study released by the Federal Motor Carrier Safety Administration, it was discovered that in all truck accidents related to driver error, 44 percent were caused by drivers who were taking over-the-counter or prescription medications. The FMCSA requires companies that employ truckers to implement drug and alcohol testing programs into their operations. These tests must be performed when hiring new drivers, randomly, if drug use is suspected or after an accident is caused that may be linked to impaired driving. These drug tests are also designed to identify the use of substances like marijuana, cocaine, opiates, amphetamines, methamphetamines and phencyclidine. Commercial drivers who test positively for one of these drugs will immediately be removed from their duties and must go through a certain process before returning to work. Additionally, the FMCSA states that commercial truck drivers are not permitted to take a prescription medication or controlled substance unless they receive the prescription from a licensed medical professional. Truck drivers who use a drug that has the potential to impair their driving ability are considered medically unqualified unless the Medical Examiner is able to determine that the drug is safe to use. Another commonly used drug which can cause truck driver impairment are cough and cold remedies which contain dextromethorphan. These substances can lead to nausea, vomiting, impaired motor function, numbness and increased blood pressure.